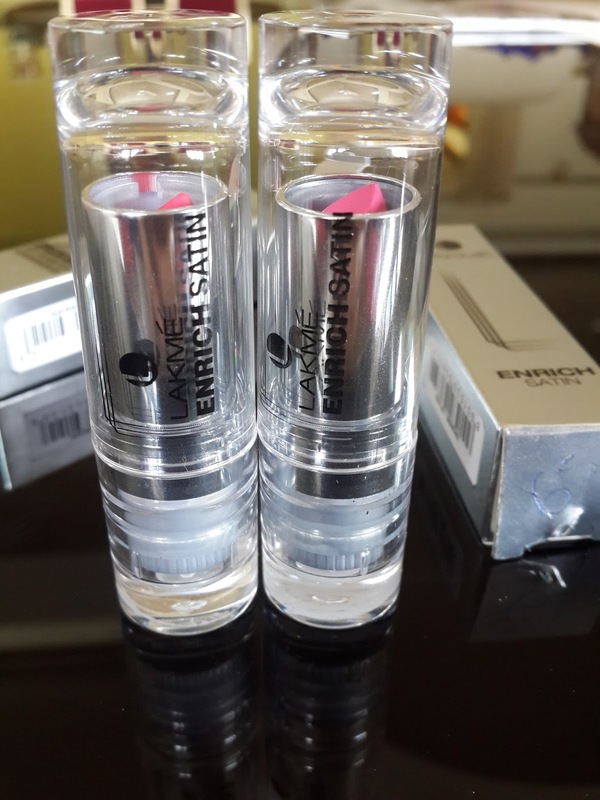 Finally I got a chance to write about this lipsticks.. 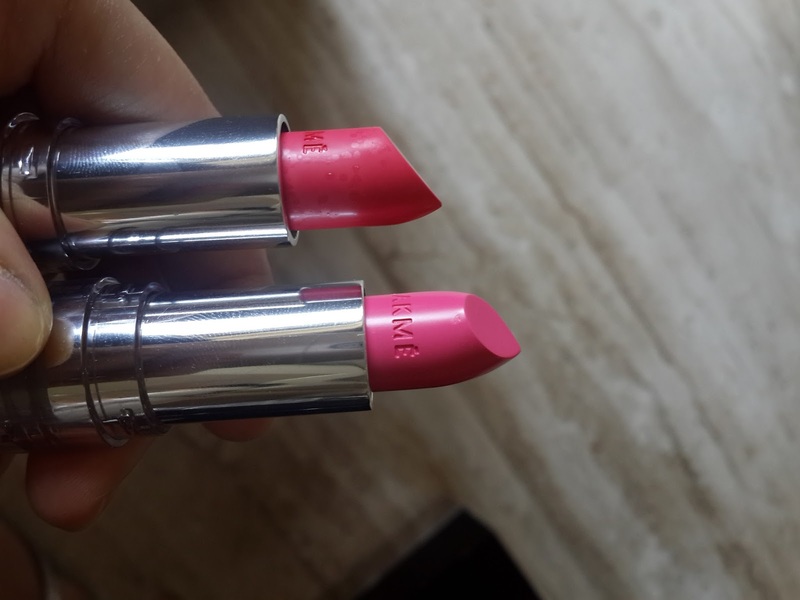 I had got this two lipsticks few days back from Lakme and never got chance to review them and I absolutely had no idea about Lakme launching this lipstick. 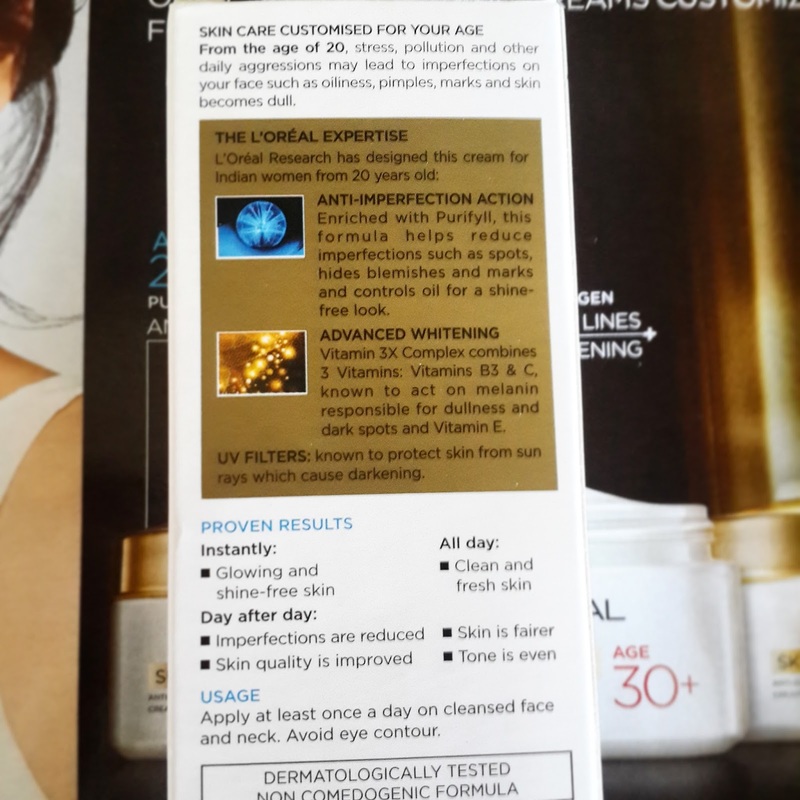 I had not seen any add OR posters in magazines I just found out when i was passing through lakme counter. 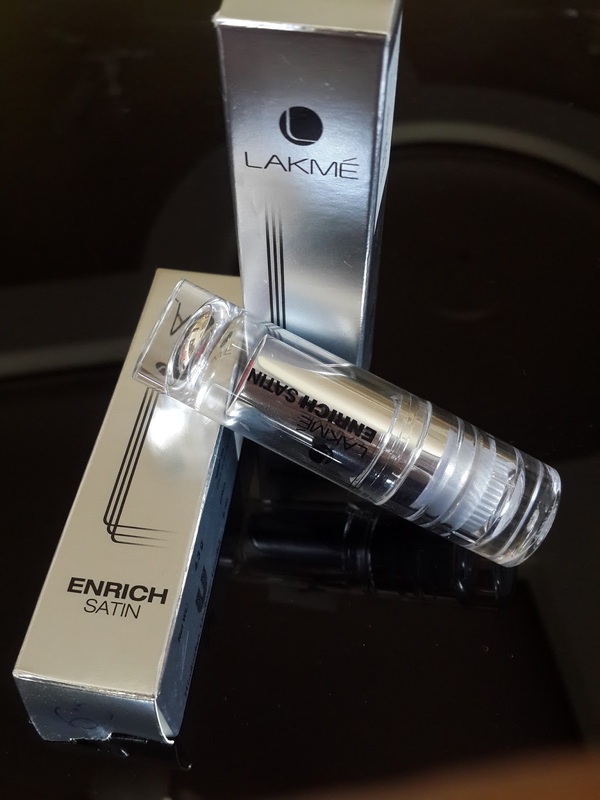 This Lakme enrich satin lipsticks are from the very old collection of Lakme they have now reinvented their packaging and introducing new 10 shades of lipsticks. Almost all shades in this range have pink tones. Steal the show with an intense, vibrant pout. The added goodness of olive oil and Vitamin E helps keep your lips feeling satin soft. 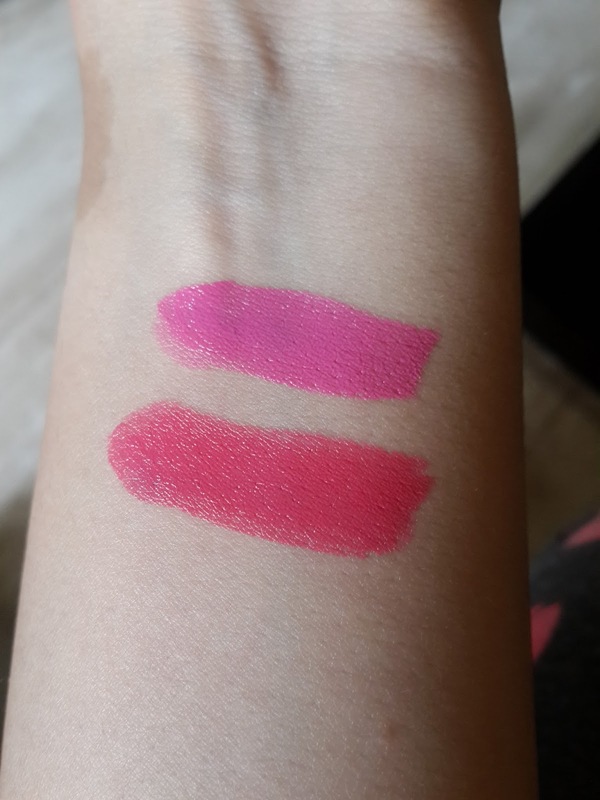 I was super confused while selecting them as all were in pink I had to try almost all and ended up buying two i could have bought more shades but as you all know I was not pretty sure about its formula so thought of trying out with this two first. As you can always go back and buy again. This lipsticks have no name just a no. code. 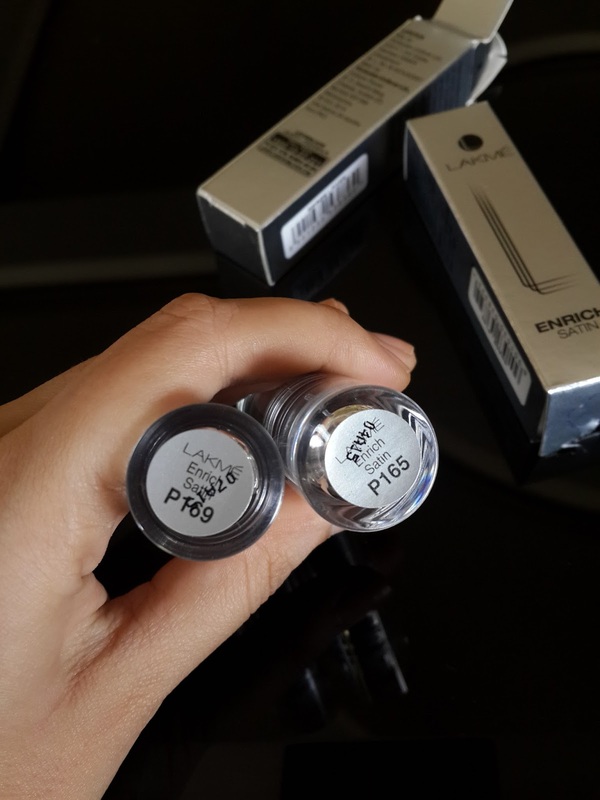 I have got this two beautiful shades in P165 & P169. They come in Matt silver box packaging. I loved this see through plastic packaging it looks very attractive. The top of stick shuts with a click. Having see through cover so you can see the lipstick shades from top on bottom there is code written which are so difficult to remember. I never liked its old lipstick packaging which was in dull purple colour. P 165 is coral pink shade which can go on any skin tone and it can be worn on pretty any occasion while P169 is perfect bright pink shade lovely colour for young girls. They do not contain any shimmer. Texture of this lipstick are super soft rich and creamy. You don’t need to apply lip balm as this are quite moisturising to lips. It does not make my lips dry as they have vitamin e and olive oil. Does not settle into fine lines. Quite pigmented on one swipe and colour is buildable. Its gives satin to glossy finish on lips. It has still got old floral scent. What I was not sure of this lipsticks when I was trying them out that they were super soft and I think this could make the application uneven or messy. But they are not at all messy and gives me even application on just one swipe. It does not last for more than 3 hrs including meals. This lipsticks are transferable and do not bleed. No ingredients are mentioned on lipstick. Overall i am impressed with this lipsticks they are totally inexpensive and have so many pretty shades and I think I would love to buy more shades. Recommended. Have you tried them? Share your comments below . 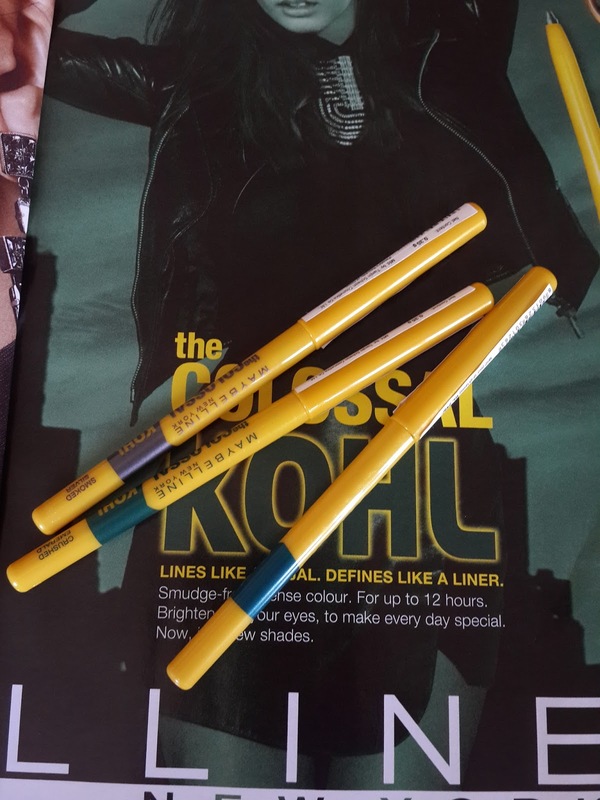 So today I am reviewing a product from Maybelline Colossal range. To my surprise maybelline has come up with 3 different Colors in Colossal Kohl. 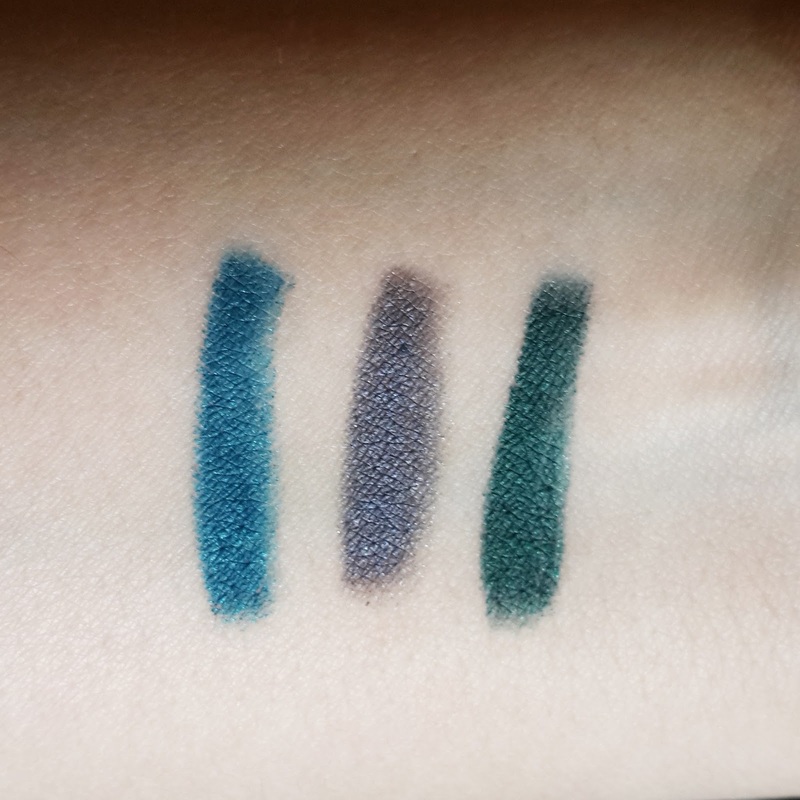 We all are familiar with the black colossal kohl and then the turquoise one now here comes other 3 shades in this same range. It comes in the same old yellow twist up packaging with just a plastic seal over it. Now its no more just black colossal kohl its also in 3 new shades which are Crushed Emerald, Smoked Silver & Jewelled Jade. So this summer you don’t need to stick to your black kohls but you can apply all this color kohls to make your eyes look bright. All those who love Maybelline colossal kohl will love this one too. I have picked up all 3 colors and they all are really soft smooth on application. They just glide on so easily without hurting my lids at all. Smoked silver is a my favorite pick as it’s a greyish silver having blue undertone with little shimmer almost not visible looks amazing when applied on both upper as well as lower lashline. Crushed Emerald is a beautiful deep green color and has little shimmer in it. Jewelled Jade is a perfect peacock blue color which is very different from turquoise blue having little shimmer in it. I loved using smoked silver most it looks lovely on my brown eyes. All colors are wearable as they are not to bright and can go well with every skin tone. I loved the texture and all are pigmented but to get the maximum opacity I had to swipe couple of times. Does not irritate my eyes even wen applied on waterline. Its a Waterproof and Smudgeproof pencil. It claims to stay on for 12 hrs without fading which is false. I had applied on upper as well as lower lash line and it stayed for almost 6-7 hrs. After 6 hrs it started to smudge on lower lash line it was more with green and blue color kohl. No Ingredients are mentioned on the pencil but they contain Vitamin e which is soothing for eyes. I also liked that this green pencil did not leave any black stain behind which generally deep green pencils do have. 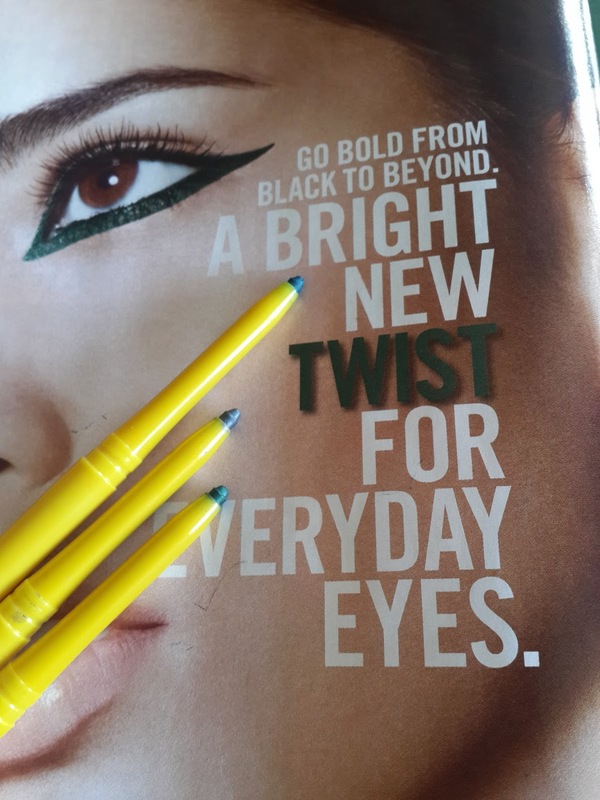 I am also not fan of twist up pencils as they don't give intense colors and also tend to break off easily when swiping it several times but this are really soft and don't break even while applying with pressure and they also give me intense color. 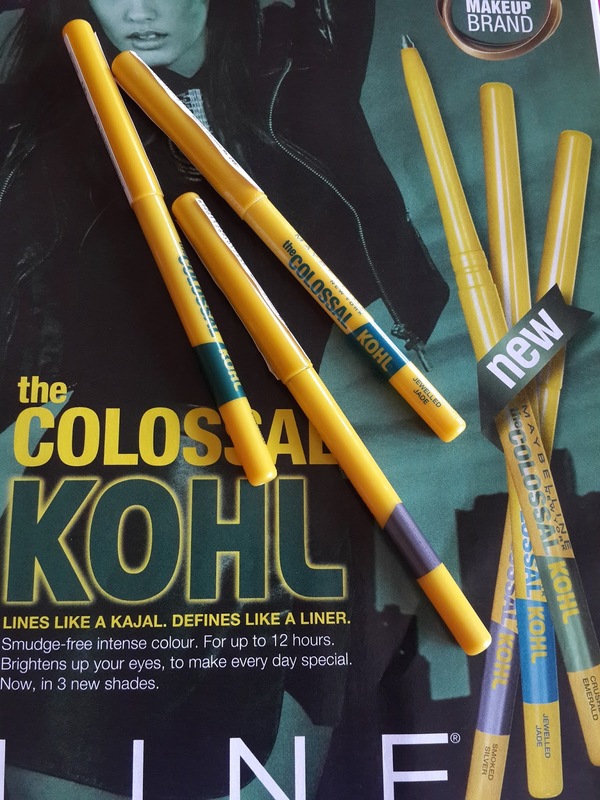 Overall recommended to all maybelline colossal lovers and those who are bored of using black kohl if you want to add some color kohl for this summer then this are the one available easily and at affordable prices. This pencils are not at all disappointing except i wished it lasted more longer. Yes i would definitely buy this pencils again. 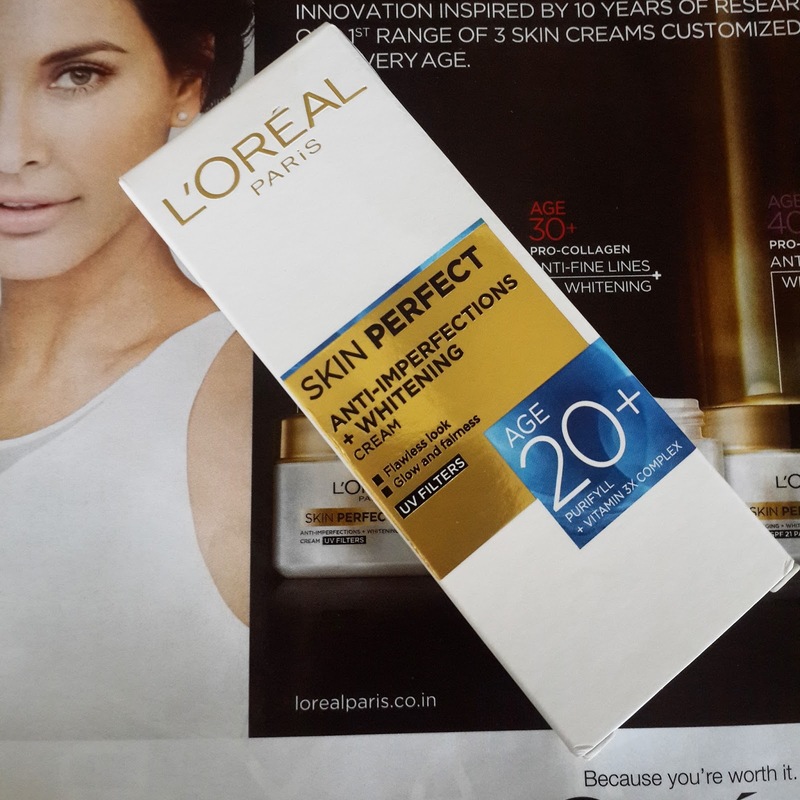 Recently I had posted Review about L’Oreal Paris facial foam in 20+ and as I promised I will be reviewing about cream which comes in same range of 20+age group so here I am sharing how I felt using this cream and will I buy it again?This product comes in a white and golden box packaging which i thought is decent. I have bought this product in small size that is 18gm which comes in white squeeze tube with golden cap and they also have bigger size which comes in a jar. 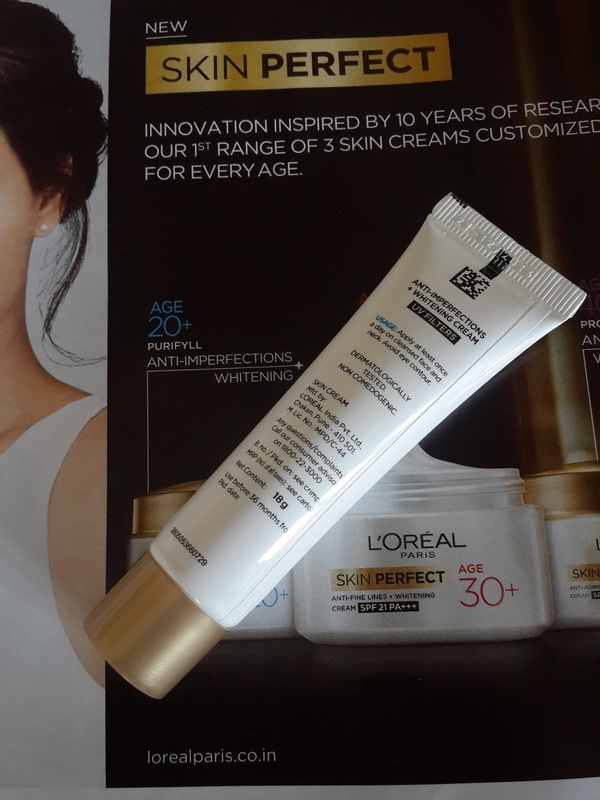 I wanted to first try out this cream getting a smaller size so got this tube. I like tubes rather than jars as they are more good where hygiene is concern. This packaging makes it easy to carry in your bag. 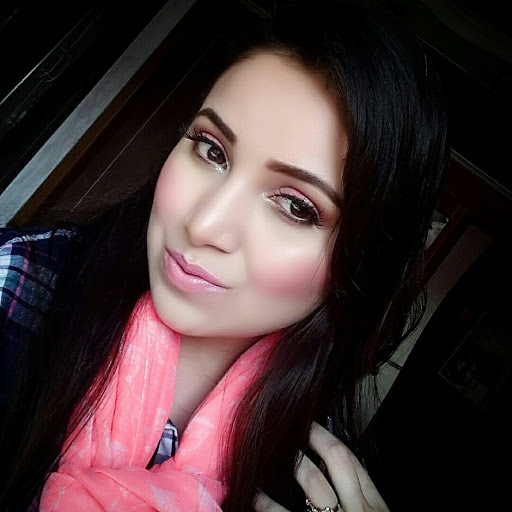 On squeezing the product out its a white colored smooth cream which is easy to blend on skin. Does not feel sticky at all absorbs quickly on skin. It has same floral type of smell which is in facial foam. Generally I don’t like fragrance in my creams but this smell was quite refreshing. On application it did not make skin look oily greasy or dull instead it just felt so light clean and fresh. It gives matt effect to skin. I felt like I had applied no cream at all. My skin is on drier side so i had to use little more product but after applying my skin felt soft and supple. This cream is good for normal to oily skin for dry skin it can be less moisturising. I think for me it will be good to use in summer times. It also contain UV filters so its safe to use in sun. 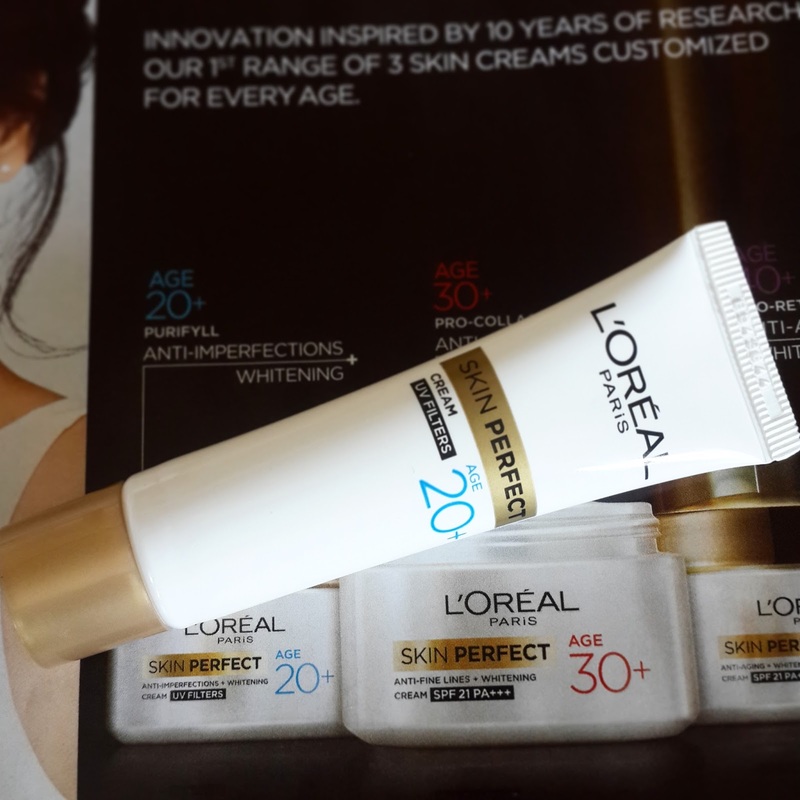 Well this cream doesn’t hide any blemishes or lightens your tone immediately. I have just started using it every morning it does make my skin tone look even but haven’t reduced any imperfections. I will be continuing using this product for now I liked the texture of cream as it feels so light on skin. Packaging is good and its easily available and worth the price . I would recommend this to 20+ girls who have normal to oily skin who have got acne and blemishes and who find difficult to apply normal moisturisers specially in summers. This is a product for girls who don't like their moisturiser to be heavy on skin. I would say first try out with small size and then go for bigger size.